A recent study suggests drinking diet soda may significantly increase the risk of having a stroke or other vascular system disorder. 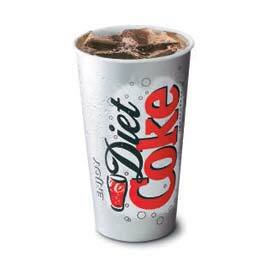 Researchers at the University of Miami’s Miller School of Medicine said in a statement that people who drank diet soda every day have a 61 percent higher risk of having a vascular event, compared to people who don’t drink any soda. The researchers said their findings suggest switching from regular soda to diet soda is not an effective strategy in lowering the risk of heart disease and stroke. The study included 2,564 participants who were asked about their soda consumption habits. During an average follow-up of 9.3 years, 559 vascular events occurred, including ischemic stroke, which is caused by the rupture of a weakened blood vessel. The researchers said that the risk of this type of stroke remained high, even when accounting for other risk factors, including a patient’s metabolic syndrome, peripheral vascular disease and heart disease history. The study was presented at the American Stroke Association’s annual conference in Los Angeles, Calif.